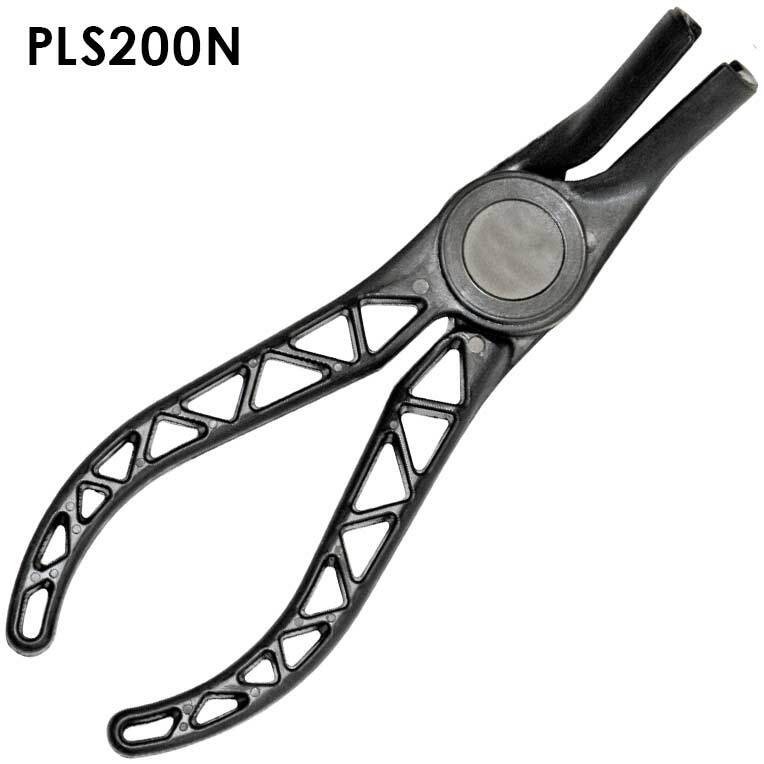 Insulated spark plug boot pliers grip boot to prevent wire damage. 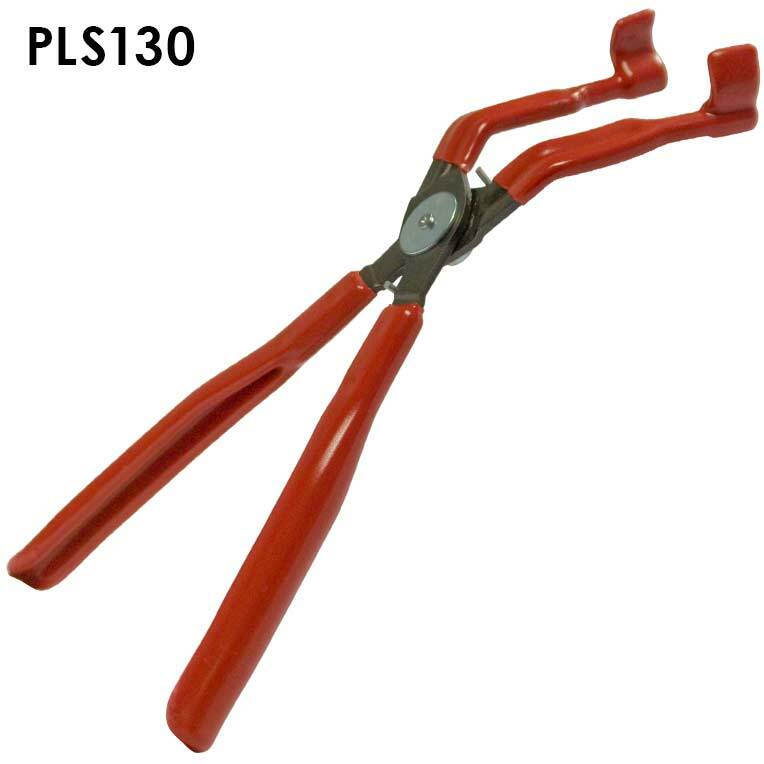 The plier's handle and jaws are coated with a 90 durometer heavy-duty plastic for a sure grip. 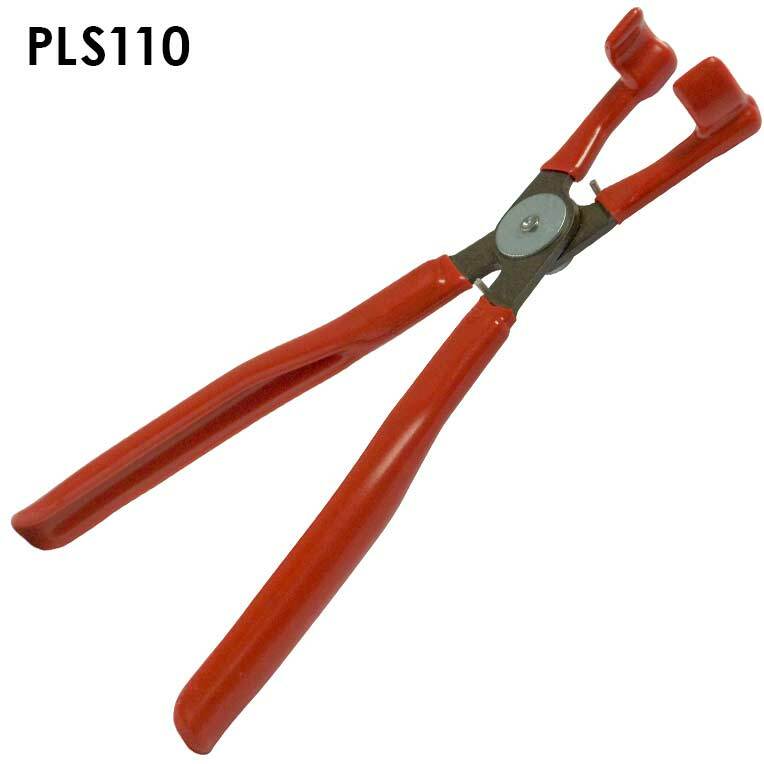 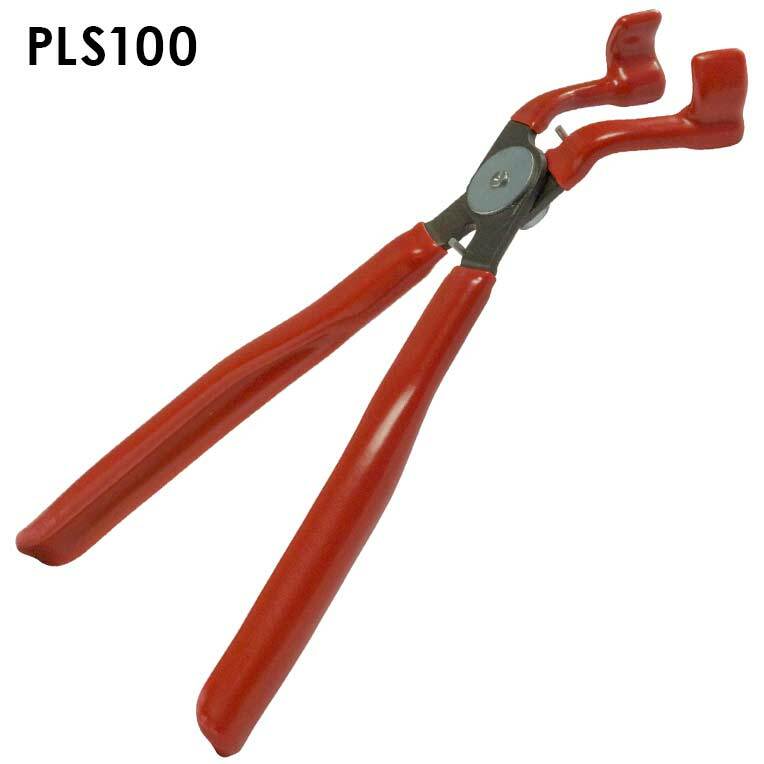 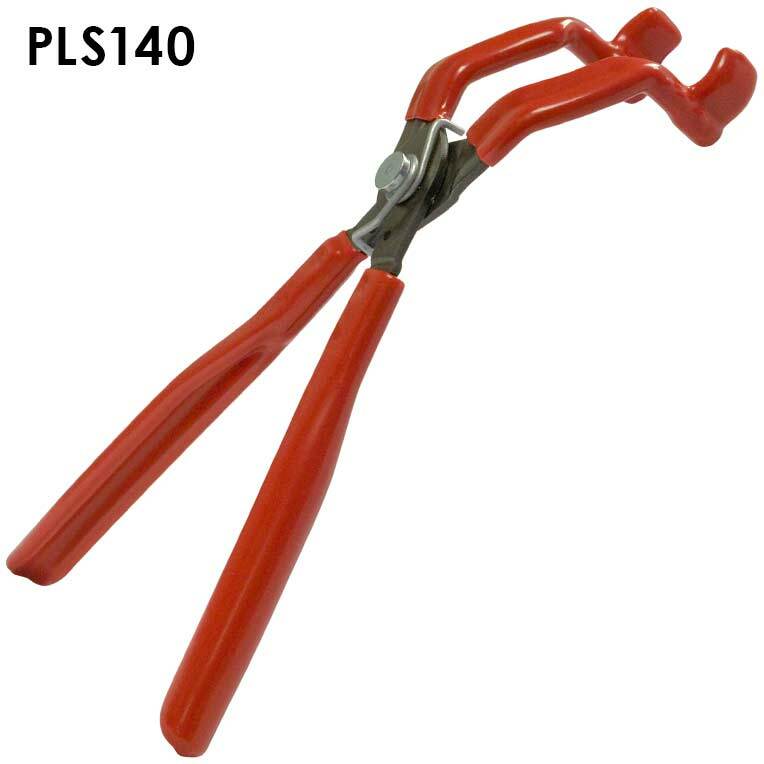 The PLS140 is ideal for use against the fire wall and on minivans, while the PLS100S contains one of each pair of pliers so you can be ready for any difficult to reach boot. 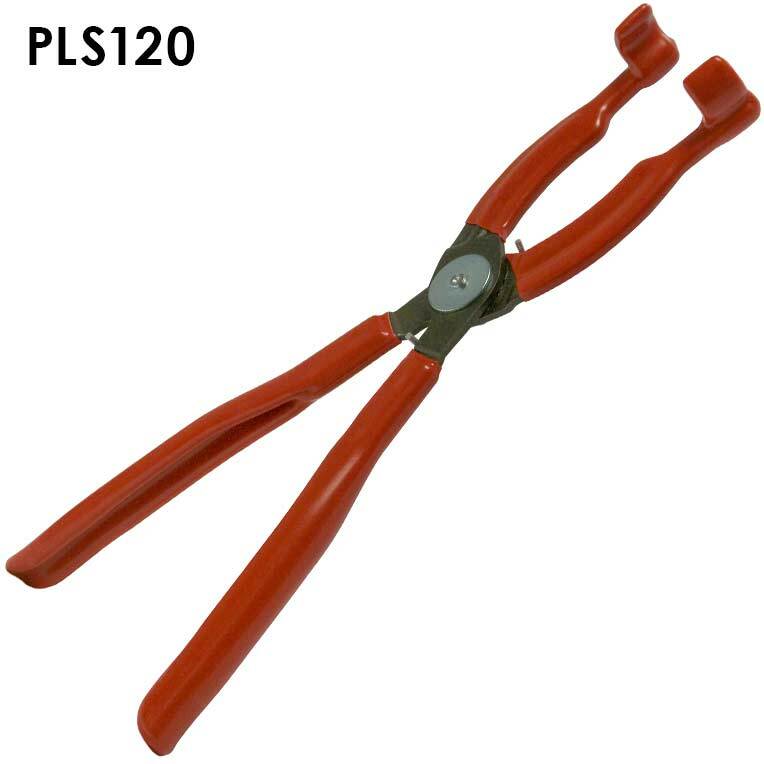 Our nylon spark plug boot pliers have a 20° Angle are a made with heavy-duty nylon construction to insulate hands from electric shock.